Lion at the base of Nelson's Column by Sir Edwin Landseer (1802-1873) (sculptor), Trafalgar Square, London, UK. Designed by Sir Edwin Landseer and cast by Baron Marochetti; unveiled in 1867. 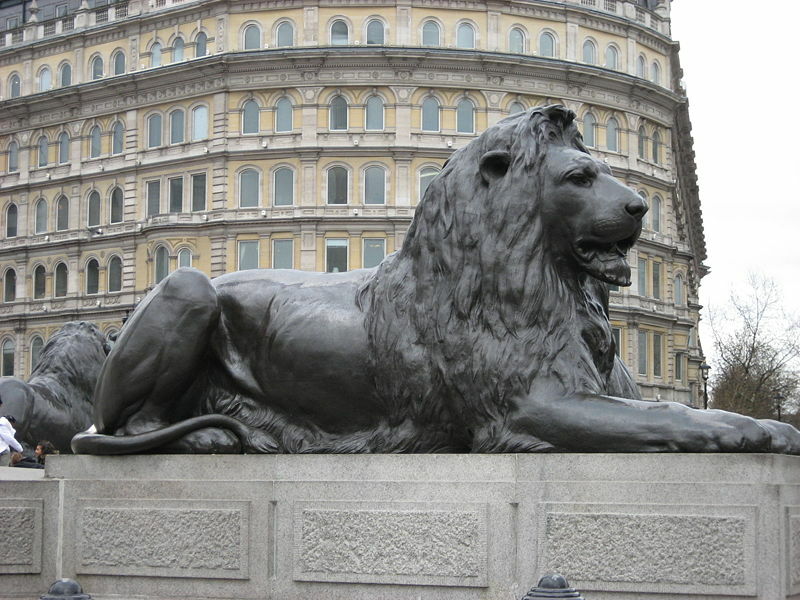 One of four identical bronze lions at the base and surrounding Nelson's Column; each of the four lions, which are 6.1 meters (20 feet) long and 3.4 meters (12 feet) high, was cast by Baron Marochetti. Photo by Jose L. Marin. This page was last modified on 1 May 2015, at 08:45.